Wenche Jansdatter published 1 year ago in . (NOR) Denne siden inneholder kopier av offisiell informasjon vedr. Jan Mayen naturreservat. Informasjonen på denne siden er publisert på vegne av ansvarlige statlige etater. For verifisering av informasjon på denne siden henvises det til etatenes offisielle nettsteder. 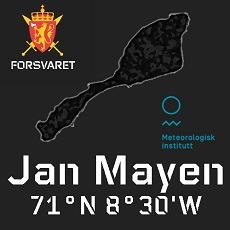 (ENG) This page contains copies of official information regarding Jan Mayen Nature Reserve. Information on this page is published on behalf of the responsible government entities. To validate information, visitors are requested to address official government sites. Most official information on this page is in Norwegian (NOR), however a short summary regarding Jan Mayen nature reserve and visitor information are provided in English (ENG).